This week at the European Parliament, together with the European Disability Forum and our host MEP Evelyne Gebhardt, we explored the many ways that technology can assist people with disabilities to live more independently. European nonprofit innovators from France, Germany, Austria and the UK presented their inspiring projects and wowed the audience. My Human Kit, whose founder Nicolas Huchet from France lost his right hand in an accident at 18. 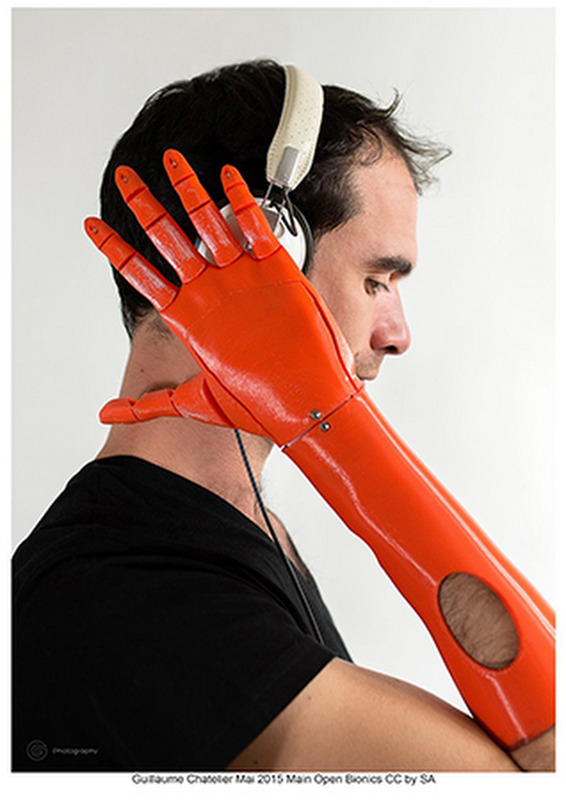 Unhappy with the high cost of prosthetics, he decided to launch an online platform to connect people in need of prosthetics to low-cost, open-source 3D printed models. U.K.’s Wayfindr, which is enabling people with visual impairments navigate urban transport systems, retail spaces, and other indoor environments using beacon technology. Research shows that 43% of people with visual impairments would like to leave their homes more often, but navigating independently is challenging, especially indoors. BLITAB, a joint project with the Royal National Institute of Blind People to develop a Braille display tablet that will enable people with visual impairments to access more content in real-time. It was founded by 3 Bulgarians living in Austria. Wheelmap, which started in Germany and is creating a global dataset of accessible locations for people with disabilities. The crowdsourced model allows people to score public and private locations like banks, hospitals and post offices on accessibility. Attendees engaged in a lively debate that underscored the importance of both considering accessibility from the start of product design and understanding the diverse needs of users to ensure new technologies are meeting the right needs. More than anything, said Rodolfo Cattani, General Secretary of the European Disability Forum, it’s important to remember that the notion of “a normal user” simply does not exist.